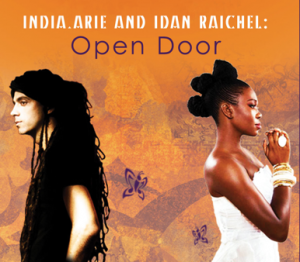 Idan Raichel is described as a “global music icon who has brought his inspiring example and soul-stirring music to some of the planet’s biggest stages.” Raichel, who has lead The Idan Raichel Projects for the last fifteen years, is set to give a solo piano performance at the Strathmore. His concert, titled “Idan Raichel: Piano Songs,” includes many of his songs and the lyrics, as well as the stories behind them. I spoke with Idan about his upcoming concert and his body of work and he gave interesting and thought provoking answers. National Philharmonic Announces 2016-17 Season at Strathmore! Music Director and Conductor Piotr Gajewski and the National Philharmonic at Strathmore announced its 2016-2017 season today. The new season will feature the music of Vivaldi, Bach, Handel, Mozart, Beethoven, Rachmaninoff and more. The season kicks off with an evening of Beethoven featuring a National Philharmonic favorite, pianist Brian Ganz, performing the gorgeous Piano Concerto No. 4 on September 17 and 18 at the Music Center at Strathmore. Other soloists featured throughout the year include pianist Eric Lu playing Rachmaninoff’s Piano Concerto No. 2; violinist Chee-Yun performing Vivaldi’s and Piazzolla’s The Four Seasons; and cellist Zuill Bailey showcasing Bruch’s Kol Nidrei and Bloch’s Schelomo. The roof on Strathmore was torn off on Saturday, December 5 when Queen of Rock Soul Fantasia rocked the house at An Elegant Evening of Giving benefit concert presented by Talking Hands Corporation. As a fan of Fantasia since her days as a contestant on American Idol, receiving this opportunity to see her perform live for the first time was one that couldn’t be missed. If her gritty soulful voice gave me goosebumps through my home speakers, I could only imagine how electrifying her live vocals would be! Wednesday November 18th 8 p.m. – The Yardbirds are pioneers of rock n roll. The group helped spawn the careers of some of the greatest electric guitarist of all time. Eric Clapton, Jimmy Page (Led Zeppelin) and Jeff beck are all former Yardbirds guitarist. In the 1960s lead by Jim McCarty The Yardbirds helped mold heavy rock and distortion into what we know it as today. They performed at the brand new AMP music venue in North Bethesda. Some might call him a rebel, I think of him more as a pioneer. 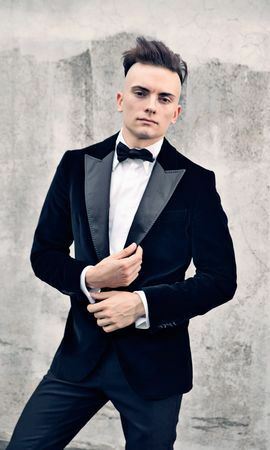 Cameron Carpenter has taken the organ by storm and with that, garnered a popularity and need for travel. Wednesday night at the Kennedy Center, his solo debut on their new Rubenstein Family Organ. It was a program handpicked by Cameron himself, scores he felt best fit the capabilities of this particular organ. It included the compositional works of Bach, Mozart, Scriabin and Tchaikovsky. The spiritually soulful duo of India.Arie and Idan Raichel graced the stage of The Music Center at Strathmore in Bethesda on Saturday, October 22, 2011. America’s enchanting R&B goddess, India.Arie, known and loved by her fans and the music community as a songwriter, musician, singer, poet, advocate, daughter, and friend, teamed up with Idan Raichel, Israel’s biggest international musician to deliver a musical experience that reminds people that we are all ONE, that all people and things are interconnected, and that there is beauty in cultural diversity, mutual acceptance, and love. Ah, the golden age of television. Before there was Technicolor, before there were high end over the top graphics with 3-D effects it was just simply television (sometimes less is more). While that decade lacked in the graphics department it excelled in both the acting and the sound. Here to bring that sound back the Baltimore Symphony Orchestra conducted by Jack Everly along with singers Karen Murphy, Kristen Scott and Chapter, 6 a vocalist cappella ensemble.